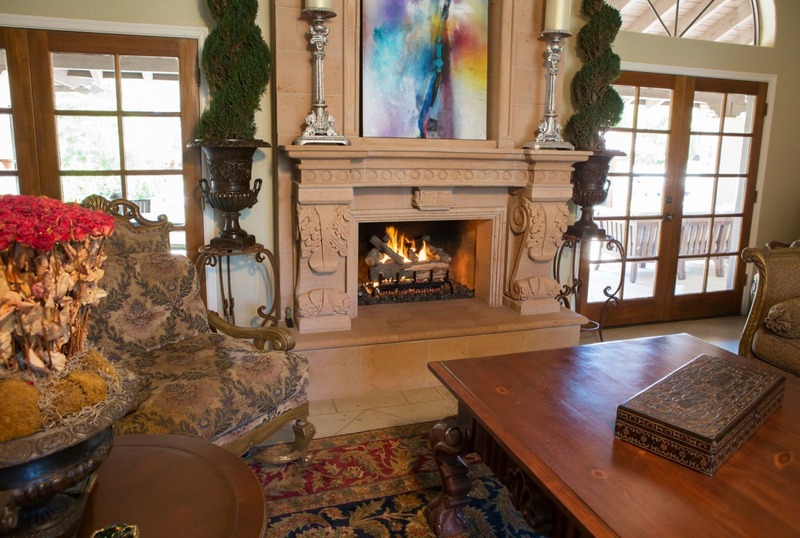 Fireplaces can be a magnificent staple in any home or business. Not only do they provide great ambiance and heat but also help increase the resell value. Wood burning fireplaces are great and hopefully bring back plenty fond memories, but they also require a lot of tending to and are not at all environmentally friendly. They burn resources and pour toxins such as carbon monoxide, and smoke into your home and the atmosphere. A gas fireplace offers a more convenient and efficient fire, while leaving you with little clean up and lower emissions for the atmosphere. If you are considering the switch to a gas fireplace, keep reading and we will go over some of the benefits. Gas fireplaces are a much more efficient use of heat because they can ignited, deactivated, and adjusted by a controller for the desired heat in an instant. This immediate gratification capability also ensures that no heat or resources are being wasted if not enjoyed. Wood burning fireplaces lose a lot of their heat up the chimney and in the atmosphere and also take a lot of work to ignite and maintain. Gas fireplaces offer a huge array of versatility as they can be put almost anywhere. There is the choice of vented or non-vented which is why they can be added to an already existing fireplace or mounted in a wall or freestanding. The material options to safely burn also keep on growing, and this is a great way to diversify the look of your fireplace. With gas logs, fire beads, etc. to choose from, you can switch up the look with little clean up. All the gas options offer a very safe and efficient burn with little pollutants or maintenance to worry about. If you are looking to add or improve your existing fireplace, you have come to the right place. Give us a call and we can get you on your way to a roaring gas fire today!